Coca-Cola, the global leader in the beverage industry lately added a new drink in their kitty. It has brought to India the global brand Burn, which already has a huge presence in the European markets. 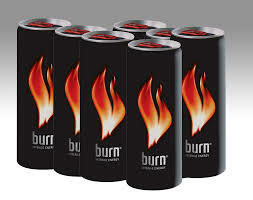 Burn is positioned as an energy drink for the niches. Coca-Cola officials further add that Burn is targeted at the trendsetting, socially active and adventurous young adults. Burn will be competing with arch rival Gatorade (from PepsiCo) apart from Red Bull and Cloud 9. Currently, the energy drink sector in India is estimated at a whooping Rs.200 crore and thus attracts the big players in the industry. Speaking about Burn, the product is priced at Rs.75 for a 250 ml can and will be available at selective premium channels across Mumbai, Delhi and Bangalore. Burn will be marketed through an intensive below-the-line programme along with presence in other media forms. Let’s hope Burn sets the market on fire.